52636-SS-PK is rated 5.0 out of 5 by 2. 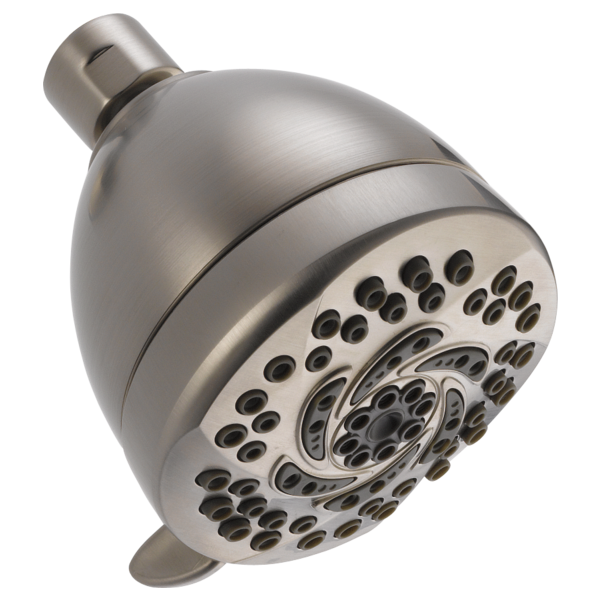 Rated 5 out of 5 by EP from Great Product - Great Price You get a lot of function without sacrificing style or quality with this shower head. Customers are happy with the appearance and the options without breaking the budget. Rated 5 out of 5 by MrRedBaron from What's not to like? It looks great. The head easily fits to the different settings. Lifetime warranty. So far, no buyers remorse. If Delta honors the warranty just in case down the road I need it I'll always love and buy Delta. Is Delta R10000-unbxhf compatible with this shower head? Is the pattern on this shower head the same as the one on the the 55436-PK 5-setting fixed wall mount hand shower? Is there a way to increase the water pressure of our Delta 5-setting shower head, Model 52636-PK? 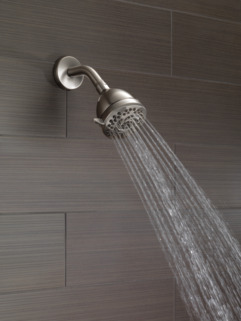 We didn't know this was a water-saver shower head. It delivers so much less water pressure than we're used to, especially since it was installed high because my husband is tall. Is there a filter inside that we could remove to allow more water to flow?